Such a deal.Travel around the world staying at the best hotels and eating at the best restaurants, all in search of the perfect steak--and a tax write-off. But the IRS didn't buy Maurice Dreicer's argument. It couldn't buy his book, either, because Dreicer never got it published. Still, failure to find a publisher isn't fatal. So why did Dreicer lose his case? The facts give us some clues. Sometime in the mid 1950s, Dreicer decided to write a book about searching for the perfect steak. During the next twenty-plus years, he lived on his inheritance and traveled all over the world with his secretary gathering material for the book. They stayed in the finest hotels, dined in the finest restaurants, and returned to some cities more than once. After writing what Dreicer called his completed draft (but which apparently had some parts still in outline form), he sent it to one publisher and one agent. When they rejected it, he stopped trying to get the book published. He put greater effort into trying to deduct travel expenses and his secretary's salary. The tax court judge rejected Dreicer's claim that writing was his business, but it took two appeals before Dreicer gave up. The tax laws allow writers to deduct excess writing expenses if they are writing to make a profit. You don't have to succeed, but you do have to try. The profit motive shows that writing is your business rather than your hobby. And note the word "profit." The higher your expenses, the more money you have to try to make. Even if Dreicer had gotten the book published, the effort required to recoup twenty years of travel and secretarial expenses is daunting. This intent is the basic test. Unfortunately, the IRS and the courts aren't going to take the taxpayer's word. They look for objective evidence that the writer's activities are consistent with a profit motive. Dreicer claimed that he intended to make a profit, but his actions didn't show it. Although he kept meticulous records, he didn't bother to prepare a polished manuscript and made minimal efforts to sell what he did write. So it's no wonder the judge didn't believe Dreicer's claim that writing was his business. For a tax case with a different result, stay tuned for next month's post on the case of the struggling artist. On Sunday nights, I like to veg out on the couch with my family and watch something on TV to make us laugh (meaning no sports, pawn shop reality shows, or the news). We came across a movie, right at the scene where a young boy watches his brother die after an accident with a saw. Certainly not a movie to make us laugh, but we were immediately drawn in to this biographical movie based on the life of Johnny Cash. Johnny Cash was a great songwriter, as well as a singer. He is said to have written over one thousand songs, a hundred of which became hit singles. He also wrote a historical fiction novel. Cash was able to use his own life sorrows to help others through their own struggles. His inspirational story brought me to this question. What does it mean for a writer to walk the line? Logically, it means a writer who balances his or her career with a stable home life. But ultimately, if you have the ability to take the passion and motivation inside you and turn it into words that identify with even one reader—you walk the line. I had the honor of interviewing my favorite author last month – Randy Singer for those who missed it. This month, I have the honor interviewing another author who's in my top three (with Allistair MacLean being the other, but I'd have to conduct a séance to interview him, and most of you would frown at that.) 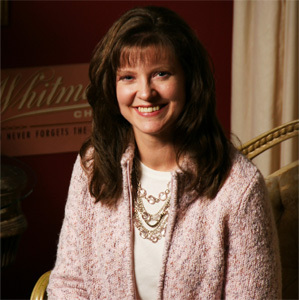 This author is Amy Wallace, who wrote the excellent Defenders of Hope series, and has released the second book last fall of her latest series, Place of Refuge. Jeff Reynolds: Welcome, Amy. I've noticed you have a bachelor's degree in Counseling and Guidance from the University of Louisville , and also are a graduate of the Gwinnett County Citizen's Police Academy . Where does your writing journey coincide with these degrees? How has your education affected your writing and your Christian life? Amy Wallace: I graduated from U of L ( GO CARDS!) ages ago and the Citizen's Police Academy about nine years ago, both a fantastic experience. I attended the CPA, a volunteer, sixteen week, behind the scenes look at the police department, when I was working on my first suspense series about FBI Crimes Against Children agents. I wanted to better understand and honor the law enforcement professionals I highlighted in my novels. My counseling degree has served me well in life and writing, to better understand human nature and observe in the real world what I write about in my stories. Not only that, but also to see how vital healing is to a healthy, loving relationship with God and others. JR: If asked what my favorite fiction series is, your Defenders of Hope trilogy would be towards the top. 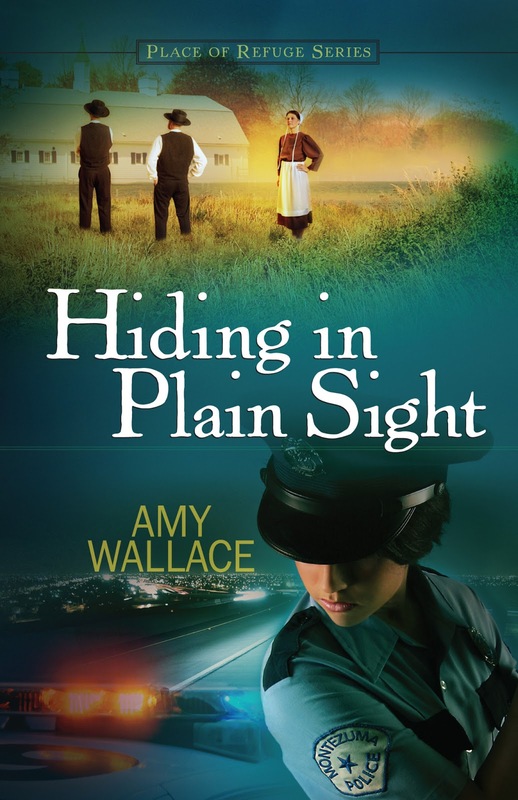 I'm now reading Hiding In Plain Sight, the first in the Place of Refuge Series. Could you tell us about the series, and if you approached the writing any different between the two? AW: Thank you very much for that high compliment! The Defenders of Hope series is a suspense series about the FBI Crimes Against Children Unit in DC that focuses on hope and healing amid life’s most challenging storms. 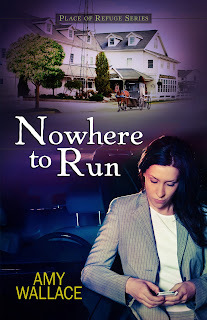 The Place of Refuge series is a Mennonite romantic suspense series focusing on a small town police officer protecting her loved ones, her town, and the surrounding Mennonite community from uncharacteristic violence in Hiding in Plain Sight, and, in Nowhere to Run, a stalker who forces Ashley to put happily ever after on hold to protect and defend those she loves. Writing these two very different series included tons of research, interviewing FBI and other law enforcement officers, and plenty of editing! I tried a few new things with plotting in the Place of Refuge series after having read James Scott Bell’s Plot and Structure. But the biggest writing difference between the two series came in dealing with theme. For Ransomed Dreams, Healing Promises, and Enduring Justice, theme grew as I wrote the stories. Ransomed Dreams' theme of healing through forgiveness became a deeper life lesson that forgiveness unlocks the future. For Healing Promises, the theme began as healing and hope amid life-shattering circumstances. The story grew out of a question I asked a Secret Service Agent: What would an FBI agent do with a cancer diagnosis? The theme grew and became Faith Under Fire and tackled the questions: Where is God when life hurts? Can God be trusted? 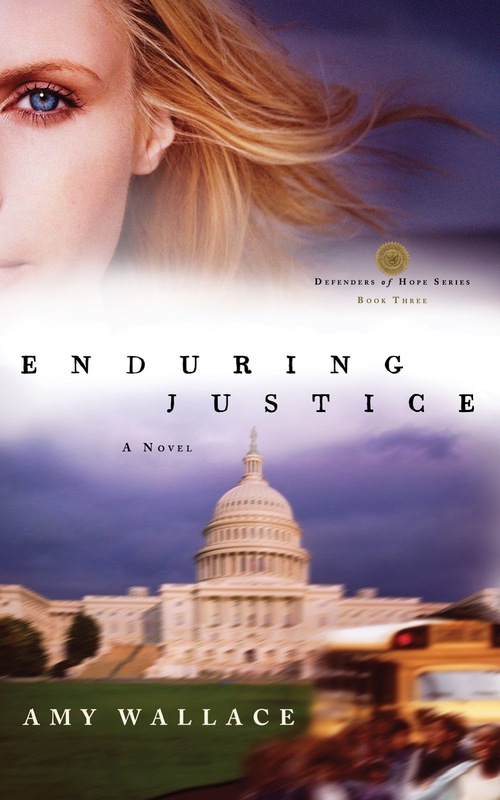 For Enduring Justice, the theme deepened from healing from past abuse to secrets can’t last forever. Justice isn’t enough. Healing is. The themes for the Place of Refuge books began with a simple theme and stayed pretty true to the original ideas. Hiding in Plain Sight’s theme is control. Who is in control? Can He be trusted? Nowhere to Run is about protection. Is God powerful enough to protect His children? JR: In October, 2011, you taught a course on Plotting. Does this mean you're a committed plotter? Or do you ever try Seat of the Pants writing? After all, you have done great plot twists in your story that I didn't see coming. AW: I’m what James Scott Bell calls a Borg plotter. I'm a full time homeschooling mom, my first and favorite career, so I don't have time to just sit down and see where the story takes me. Which, according to my pantser friends, requires plenty of rewriting. I love doing the research and character charts and outlines that help me know my characters and story so well that when I sit down to write, I have a good idea where I'm going. Plus, to honor law enforcement officers who serve us well and many of whom have been a fantastic help to me with each of my stories, I feel compelled to get my facts and twists and suspense plot right and reasonable before I sit down to write. And even with all the plotting I do, there are always surprises along the way, which keeps the journey fun. JR: Your books are full of heart-warming, feel-good topics like losing one's family, child-killing, cancer, and racism. What reaction have you had both from the publisher/editor end and from the readers? AW: While my novels do hit on hard topics, the focus is always on healing. I believe to show the light and hope that are ours in Christ, we have to acknowledge the darkness where He shines brightest. The reactions from publishers and readers have been overwhelmingly positive. In large part because my stories aren't just high intensity suspense, but because they are full of flawed, searching, real characters who connect with readers, and I pray lead them closer to Christ and the healing possible in Him. JR: One thing all your books have is a set of discussion questions. Was this your idea or your publishers? Any response from people who used those questions you'd like to share? AW: The discussion questions were something I wanted to include to help readers and book clubs connect even more to the story. One of my favorite responses was a long letter from a reader of Ransomed Dreams that detailed how this story helped her forgive her father and begin the painful process of reconciliation with someone who had abandoned her as a child. It made me cry to read how my characters and the theme of the novel touched this woman's heart to the point her life was changed for good and a vital relationship began to heal. JR: Besides your fiction, you've been a contributor to Writing Inspirational Fiction, God Answers Mom's Prayers, and Chicken Soup for the Soul Healthy Living Series: Diabetes. (I'm not much for chicken soup -- I'm waiting for the Supreme Pizza with Jalapenos and Anchovies For The Soul books to come out.) What was that like? I began my writing journey in creative non-fiction and learned how to write well in less than two thousand words. That's tough! I credit my first editors with teaching me how to make every word count and paint a picture. JR: What do you have planned this year? I'm sure the second installment of Place of Refuge is coming out -- could you give us a preview? Also, am I correct that you'll be teaching a course on the ACFW Course Loop this year? AW: I’m working on a new suspense series set both in current day Louisville , KY , and in Cold War Berlin , two places I love and miss terribly. Yes, I’m teaching on the ACFW Course Loop about the gift of words and lessons learned in the writing trenches. The second book in the Place of Refuge series, Nowhere to Run, came out in October 2012. Police Officer Ashley Walters is ready to leave behind the nightmares and embrace the future ahead of her. Along with her best friend, Margo, and her fiancé, Patrick, Ashley is planning the wedding of her dreams. But happily-ever-after is put on hold when Ashley’s worst fears are confirmed: A stalker is watching her, and he’s ready to strike. Forced to flee for her own safety and the protection of those she loves, Ashley finds refuge in a gentle Mennonite community in Shipshewana , Indiana . But danger lurks even there, and Ashley must face the greatest question of all: Is God powerful enough to protect His children? JR: Besides writing, you also are a homeschool mom of three, a Bible study leader, a women's group speaker, a co-leader of a young writer's group, and a chocoholic. My guess is your spare time hobbies are eating and sleeping. How do these activities help with your writing, and how does your writing help with these activities? AW: Yes, eating and sleeping are important to fit into my homeschooling, writing, and teaching schedule. So are reading, running, time with friends, Star Trek, and mom and daughter dates with my precious kiddos. All of those things together make life a joy and gift. It really helps that I love writing and I love teaching! Teaching is one of my top two spiritual gifts, and I feel alive when I can share what God has taught me. Chocolate of course helps with all of life's difficult tasks. ;-) Teaching also inspires me to write better and understand how I do what I do. I began teaching a high school creative writing course this year and I love it! My students challenge me to write and teach my absolute best. All of life helps with writing, making me sensitive to emotions, struggles, joys, and triumphs that bring fiction to life. And fiction helps me understand life. I work out my salvation and my wrestling matches with God at my computer. JR: Thank you for your time. Could you tell us about your very creative website, and anything else we might be interested in? AW: Thank you for having me on your blog! Thanks too for the kind words about my website~ Dark Chocolate Suspense (www.amywallace.com). It's a fun, interactive site that includes information about my books, about keeping kids safe, Bible studies, tips for writers, and fun quizzes about my stories. Please come and have some chocolate inspired fun and leave me a note in the guestbook! I love hearing from readers! Gift of Gab or Dialogic Flab? Like all good little fiction writers, we attend conferences, classes, and webinars that forbid us to pad the narrative in our novels. Books and articles, too, shake a finger in our faces and demand that we keep our descriptions lean, clean, and healthy, with only a small dollop of adjectives to sweeten our offerings. With all the caloric concern about narrative, I’ve heard little about indulging in too much dialogue. Except from my critique partner. She pinpointed several scenes in my current novel—consisting mostly of dialogue—that she believed served no purpose. I had to admit I encouraged my characters to talk because I like to talk. We find each other fascinating conversationalists. My partner, less than mesmerized, insisted our dialogue should further the plot. But that wasn’t all. She said my last novel’s epilogue needed to shed some pounds. Half its weight, actually. She was kidding, right? I agreed that I’d set the action in three different scenes—too many for an epilogue. But I’d crafted those last encounters between my characters to summarize the camaraderie they’d experienced in my novel. I’d put rich words into their mouths that readers would roll on their tongues for days afterward. Tell me, what right does a critique partner have to be right? After spending survival camp with my characters for months, huddling at 4:30 a.m., interviewing them, arguing with them, clobbering them, and rescuing them, I wanted to coffee klatch with my buds one last time. So the dialogue ran on . . . and on . . . and on . . . . Meanwhile, the future reader would no doubt give up on the book, give in to weighty subliminal suggestions, and head for the refrigerator. How about you? Have you ever had to put your dialogue on a diet? Many of my own life experiences have eventually found their way into a book. As such, I believe they lend a certain depth of realism that resonates with the reader. Both good and bad, bittersweet or joyous, my unique memories have shaped me into the woman I am today. I’d like to share with you some memories of my Granny, my Dad’s mother. I am independent like Granny. My daughter, Chelsea, resembles her physically and I can see my grandmother in my daughter’s smile. Granny taught me to be strong in the face of adversity and follow my dreams. I like to think I inherited some of her creativity and sense of humor, as well as her positivity and optimism. When I was three, my parents divorced—a still rather uncommon event at that time. As she tells it, my mom was tired of my Dad’s “ridiculous dreams,” including his elaborate plans to build a bomb shelter in the midst of the Cuban Missile Crisis and his proclivity to chain smoke cigarettes. In some ways, I’m not sure he knew how to be a father. But in the quiet ways, he showed us he loved us by building things with his hands, including an elaborate dollhouse for me, complete with working electricity and chandeliers hand-beaded by Granny. After they divorced, Daddy picked up my older brother and me on alternate weekends and he’d take us to visit Granny (with whom he lived at the time) a few miles away. She lived in an old but well-maintained two-story white house on Utica Pike, a narrow, two-lane road and homes with long, gravel driveways and sweeping front yards dotted with large weeping willow and gorgeous mimosa trees. We’d bake apple pies with fruit we picked in the backyard, string pearls, sip iced tea on the screened-in summer porch. My brother and I played with some of the same toys that belonged to my dad and his two brothers—antique toy soldiers probably worth a small fortune today. We listened to her stories of our grandfather’s and father’s respective stints in the Army and heard many a tale about the great flood of ’37 (the “big one” that destroyed their favorite puppet show theatre). Stories of when the Ohio River froze over and they could slip and slide from Indiana to Kentucky. Tales of the Happy Hunting Grounds, her term for Heaven. Granny smelled of peppermints and Jungle Gardenia. She wore handknitted dresses she made with her increasingly arthritic hands. And she had a stole made from a real fox—head included—that scared us to death. Some of my sweetest memories are sitting in her front yard, cheering on the Belle of Louisville steamboat as it raced Cincinnati’s Delta Queen on the Ohio River in late April, a week or two before the Kentucky Derby each year. When I was seven, Granny took me to the National Doll Club Convention, held in Louisville that year. I’ll admit I was embarrassed to be dressed up like a doll. Even had a write-up in the local newspaper, “Living Doll Attends Doll Show” featuring a photo of me in the dress she made and my doll with a matching outfit. I’ll never forget the pride in Granny’s voice as she introduced me to her doll club collector friends and bragged about how talented and special I was. She believed in me, and I’ll never forget that. By this time, Daddy had remarried and, for various reasons, there was a period of time when we didn’t see him—or Granny—as much. Before I knew it, I’d graduated from high school and then college and moved to Dallas, independent and ready to greet the world and make my mark. I saw Granny every time I came home for the holidays and she was spunky and active as ever although she’d finally moved into a retirement center. She was born for a place like that. When she started painting in her 70s or thereabouts, she called herself a “Grandma Moses wannabe.” Granny lived the type of life all of us would wish—rich and full with laughter, faith, family and friends. She had a heart attack at 82, and the Lord kept her around long enough to gather her three boys beside her to tell them she loved them before she made the leap into the Happy Hunting Grounds and onto the next adventure. Yes, Granny had a very strong influence on the woman I am today, the mother I am today and yes, the writer I am today. If you’ve read my debut novel, Awakening, you might recognize my heroine Lexa’s grandmother, Nana, down to the details of stringing pearls and sipping tea on the summer porch. And yes, even a mention of the Happy Hunting Grounds. She taught me that—with the Lord’s help—I could do whatever I wanted. Dream big. And so I did. I trust you have a “Granny” in your life, whether in cherished memories or beside you to hold your hand and help you see the best in people and life’s situations, both good and bad. Sleep well, Granny. I love you dearly, and I’ll see you again one day. JoAnn Durgin is the author of the popular Lewis Legacy Series (Torn Veil Books). The fourth book in the series, Daydreams, released in late 2012, as well as Meet Me under the Mistletoe, a 2012 Christmas novella (Pelican Group Ventures/White Rose Publishing). She also has a short story, Please, published in I Choose You, a romance anthology (OakTara Publishers). 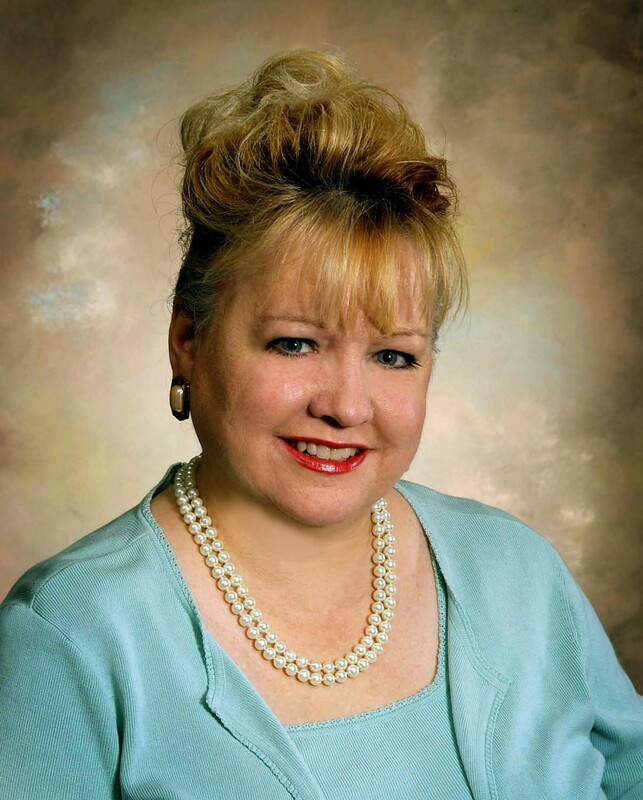 JoAnn lives with her husband, Jim, and their three children in her native southern Indiana. She's an estate administration paralegal in a large Louisville, Kentucky law firm. 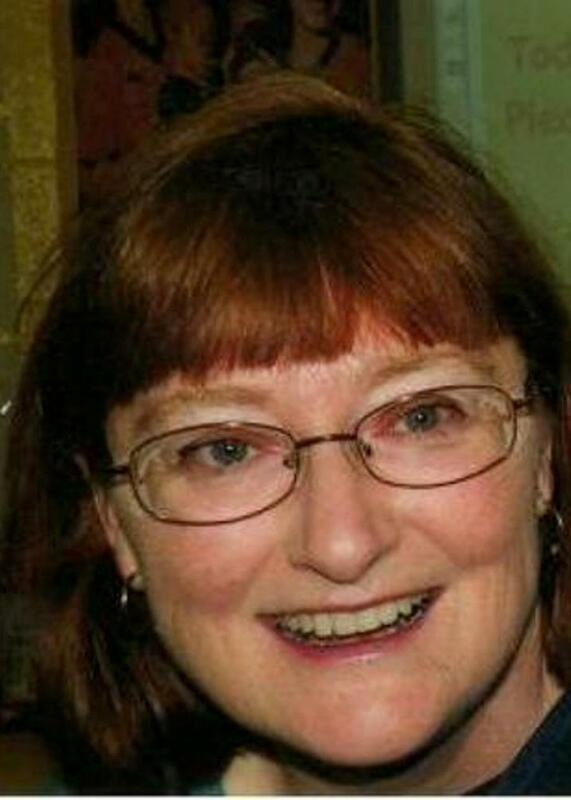 She’d love to hear from you via her website (www.joanndurgin.com) or at Author JoAnn Durgin on Facebook. I speak from sad experience. I planned on writing my post tonight but yesterday I broke my thumb. That makes writing quite a task right now. If I had started earlier this would have been a fabulous insight on the writing life. Because I procrastinated, it's kind of not. Anyway, hope you all have great productive weekends! Back in January I began a sixteen week Knitting Boot Camp. Although I’ve kept needles clicking for decades I had holes in my work. Not only has the instructor been filling them; my fellow knitters have proven comrades. A month later my husband and I attended a Saturday Ballroom Boot Camp. For five hours we were drilled in five dances. We joined mostly for the pleasure of each other’s company. But we anticipated two opposing benefits, too: intense challenge along with increased confidence. By day’s end we’d stumbled over each other’s feet and our heads were swimming, but we were smiling. We had a ball, pun partially intended. The first boot camp has been finely detailed. The second boot camp was a rush of introduction. Both have benefit. So how could a boot camp form your writing? It will force you to risk failing and looking inept. That’s okay, you will and, in some ways, you are. It will break you out of comfortable, familiar rhythms. It will challenge your mind and body. One of the downsides, pun fully intended, of writing is the long seated backside. It will sharpen your focus. You will have to concentrate. Your mind cannot take a detour, however short. It teaches the value of a swift kick. A boot camp will give you a taste, not the full feast. It will give the joy of camaraderie. Most everyone around you is struggling, too, and that fosters compassion and encouragement. You will be delighted to find a new way of communicating. And communicating, after all, is the point of writing. What a joy self-expression is. Whether writing fiction, poetry, or non-fiction the way the author presents the material, the choice of what is said, even what is left unsaid are indicative of the writer’s personality and experience. As a child I was delighted when my father made up little ditties or spoke in verse. I never considered how they impacted me until I wrote a poem a day to sharpen my skills of observation and description. Later, I entered the La Porte County Poet Laureate Contest and performed in Arts in the Park for several years. While studying the gospels, I imagined the motivations and conflicts of the individuals and framed fictionalized poems to express them. “Journey to Christmas” was followed by newly released, “Ten Days to an Empty Tomb” which is the good news of Easter told in story-poems. These contemporary poems explore thoughts and emotions of those encountering the days leading to the Passover, crucifixion, and resurrection. Human nature, reasoning, and choices are revealed provoking thoughtful meditation for those wanting to draw closer to Christ or simply share the story in a new way. Here are three excerpts. Can you guess the character viewpoint? I’ll be Minister of Interior, Treasurer of Purse. with no regrets for what I’ve withheld from You. Does the earth quake for a human? Will lightning and thunder toll? while gambling dice are rolled? This is a FREE DOWNLOAD TODAY, SUNDAY, AND MONDAY, MARY 9, 10, 11. If you do not have a Kindle Reader, that is a free download too. I hope you will follow the link, download a copy, and share the link with your friends. Perhaps you would even write a review on Amazon or comment on blogs about it. I value your feedback. Mary Allen writes from NW Indiana and prays that this Easter be one of deeper joy and greater commitment to our Risen Lord. Many blessings IN ACFW friends.